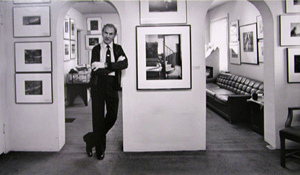 New Representation of Philip Hyde by Camera Obscura Gallery in Denver, Colorado, one of the earliest fine art photography galleries. The Colorado Photographic Art Center and the Camera Obscura Gallery have held exhibitions of the work of many prominent western photographers, one of whom was Philip Hyde as part of a group show in the early 1970s. The Camera Obscura Gallery now has on display a 16X20 archival pigment print of Philip Hyde’s 1971 “Mt. Denali, Reflection Pond, Denali National Park, Alaska.” Philip Hyde’s artist statement, biography and other information will soon be listed under artists on the Camera Obscura Gallery website. The Camera Obscura Gallery also has a magnificent portfolio book of 8X10 archival pigment prints of 47 of Philip Hyde’s best photographs.